It’s that time of the year again. Tonight we will see all of the drama of the NFL draft. Here what I think could happen. To begin this draft, the Chargers trade Philip Rivers, their 2nd round pick, 3rd round pick and future 1st round pick to Tampa Bay for the first overall pick. This fills a need for a Tampa with a Pro Bowl QB since they really want to contend now and fills the Chargers need of long term security at QB. Jamies is the best QB on the board at this point, and even though Tennessee has Mettenberger, Winston would be huge upgrade. Winston would also usher in a new era for the Titans. In my opinion he is the best defensive prospect in the draft and the Jaguars desperately need game changing pass rusher and defensive upgrades in general. Amari Cooper may not have the highest ceiling, but he has the highest floor. After years of failed high ceiling receivers (Heyward-Bay, ect.) it seems like a safe wide receiver pick would be best for Oakland. Fowler fits with Washington perfectly. They need and edge rusher and he’s the best one in the draft. With the two best QBs of the board there is no point for the Jets to reach for one. Instead they will go for and edge rusher to complete their offseason defensive overhaul. The Bears can’t stop the run. Plugging in Shelton at nose tackle will have an immediate impact on run defense for Chicago. The Flacons still have not filled in their need of a pass rusher on defense. Although Dupree is raw, he has the potential to wreak havoc on opposing QBs. The Giants need to protect Manning and create better holes for running backs. Schreff is a versatile offensive lineman that can plug in at tackle or guard and if moves to guard can be one of the best in the league. The Rams will take the next best OT to give better protection to Foles because there OL still has some holes to fill. They only have one established WR on the team, and it would give Teddy Bridgewater another target. With the whole Josh Gordon the TBD QB of Cleveland needs a true number 1. Off field issues aside, Gregory would give immediate help the Saints defense. Trae Waynes, CB, Michigan St. He is the best corner prospect and Miami is need of another CB next to Grimes. A solid all around DT, and he fits an immediate need. The Texans need a wide receiver to fill the departure of Andre Johnson and Agholor is the perfect fit. San Diego has no true number 1 RB as of now and Gordon can be that prototypical number 1 RB. Defensive tackle is a huge need for the Chiefs and Brown is the next best one. The Browns still have holes to fill in their front five and Goldman is good all-around tackle. The Eagles need help in their secondary and Randal is the best free safety on the board. With a solid all around team in every corps the Bengals should take the best player available. The Steelers are in need of a shutdown corner and Kevin Johnson has the size and skills to be that. Detroit has a hole in their O-line, and this guy can help keep Stafford on his back. Arizona can go for an OLB, but they would be reaching for one know. Instead they will draft a guy that will protect Palmer. Flowers is the guy to fill their hole at guard. With Forsett locked up for a while but not getting any younger, Gurley can take it easy with his ACL injury, but then be ready to take Forsett’s place at RB. Dallas needs all the help they can get on defense and Peters has lockdown corner potential. Denver has a hole at offensive tackle and Clemmings is the man to protect he aging Peyton Manning. He may be raw, but the Colts need all the help they can get with all the shoddy O-lines they have had since Luck has been the starter. This will allow Mathews to move back to his natural position, and Packers will have a thumper in the middle for years to come. New Orleans has no true number 1 WR. If Beckham can put all of the off field stuff aside, then he is their man. The Patriots will just take the best player available. For more mock drafts, click here or here. The draft is tonight, and as a Bucs fan (don’t ask), I am excited to see what the first overall pick brings. But what will happen after that pick? Here are my predictions for the first round, including a big trade that has major effects later in the draft. Simple enough: the Bucs need a franchise quarterback now, and Winston is the most NFL ready quarterback on the board. This pick is just about wrapped up. Some people could see Tennessee taking Mariota, but I think offensive coordinator Ken Whisenhut would prefer more of a pocket passer. With Zach Mettenberger getting his shot, the Titans take the top player in the draft. The Jags will be upset to see Williams off the board, but they can still get an effective pass rusher in Fowler, an explosive athlete off the edge. Look for him to make an immediate impact. Washington needs a pass rusher, and in spite of his marijuana possession a few weeks back, Gregory is the best fit at this spot. New head coach Todd Bowles, like his predecessor Rex Ryan, loves to blitz. Another freak athlete in Beasley from the outside linebacker position could help free up Muhammad Wilkerson and Sheldon Richardson on the inside, and vice versa. Boy, would Chicago be ecstatic to see Cooper fall to them at 7. He would set in and immediately fill the role of the traded Brandon Marshall, opposite of rising star Alshon Jeffrey. This would be a perfect fit. Also recently arrested on marijuana possession, Ray’s stock has dropped a bit. But Atlanta’s hole in the pass rush is too deep to pass on a proven sack artist. With Scherff, the Giants line gets a lot stronger. Keep Manning upright with weapons like Odell Bechkam and the returning Victor Cruz, and the Giants could be dangerous on offense. Frankly, ever since the dynamic duo of Torry Holt and Isaac Bruce all those years ago, the Rams have struggled at wide receiver. White gives them the chance to turn their fortunes around for newly acquired Nick Foles, who loves throwing the deep ball. Gurley’s stock has been rising quickly now that his surgically repaired knee has been cleared by doctors. He could go to Minnesota amidst rumors of Adrian Peterson being traded away. Gurley is a very similar runner, and could see success as a focal point in a young offense with second year quarterback Teddy Bridgewater. With the two picks acquired from the trade I predicted with Cleveland, Oakland needs to add depth. With the wide receiver class particularly strong this season, I see them turning to the run stuffing Shelton to kick-start a rather weak defense. After trading away both TE Jimmy Graham and WR Kenny Stills, Drew Brees does not have many weapons around him. Receiver is a must for them this draft, and with many teams looking for receivers between now and their 31st pick from Seattle, the Saints pull the trigger now on Parker. The first corner comes off the board in Peters at 14. When Tom Brady is in your division, you need a strong secondary, and Miami could desperately use the help. With Justin Smith considering retirement, the Niners are desperate for D-Line help. Whether or not that happens, Armstead will be an asset with his ability to play both inside and outside on the line. With Andre Johnson shipped off to Indy, Houston needs another receiver opposite DeAndre Hopkins. The tall and explosive Green-Beckham would fit nicely here, but the question is, will it be Brian Hoyer or Ryan Mallett throwing him the ball come fall? How to entice Philip Rivers to stay in San Diego? A rushing attack to keep defenses honest would be a good start, though an offensive line and pass rush are also huge needs for the Chargers. Either way, hard to scoff at Gordon’s resume, coming off one of the best rushing seasons in NCAA history. Similar to Miami before, guarding Peyton Manning and potentially Philip Rivers takes some talented corners. But Waynes has big game experience from his Big Ten games at Michigan State, and has the skills to lock down top receivers. Could justify a receiver here as well, but adding Michael Crabtree can delay this pick to later rounds. Instead, with Charles Woodson not getting any younger, taking the top safety on the board will improve this defense mightily and immediately. Chip Kelly loves tall, athletic receivers, as well as Pac-12 players. Check and check, and Sam Bradford adds a new toy to throw to. His name has been as high as sixth on recent drafts, but should teams look past the marijuana charges on Ray and Gregory, this is where Dupree could end up. Not that Cincy will complain: they need rush help badly, and Dupree is the best available for a while. Another team that will need some help at linebacker is Pittsburgh, and the Steelers are getting an athlete. Not only is Thompson a great linebacker, but he also took snaps at running back for the Huskies. Ndamukong Suh and Nick Fairley are gone, so with both of last year’s starters gone, this is probably a position where help is needed. Insert a 320-pund All-American. We are done here. If Peat gets past the Rams at 10, he could drop hard through the middle picks where skill positions and defenders are higher priorities. The Cardinals could use a running back, but reaching for Duke Johnson may not be wise here. Peat will be helpful on the line which struggled a bit last year, leading to Carson Palmer’s knee injury. Speaking of teams with O-line problems, just ask Cam Newton. For his sake, the Panthers need a lineman here. With Torrey Smith gone for San Fran and Steve Smith at 35 the best returning receiver, the deep field threat is needed one more. That is exactly what Dorsett can do for a team with 4.33 speed. As good as the Cowboy offensive line is, the defensive line cannot say the same. Goldman played a large part in a dominating Seminole defense, so he would be a nice addition for the Cowboys late in the first round. Also with some trouble with the law right now, but Collins is the best lineman on the board for the Broncos at 28, and Peyton needs time in the pocket to be his typical surgeon self. Indy is young on offense and is already really good. Defensive line is another issue that needs to be addressed, but here, filling their only true hole at center is also a priority. Theme developing: you need corners to stop good passing teams. Green Bay has four games a year against Matt Stafford and Jay Cutler, so Jones, who hugely impressed with his combine performance, is a fit here. Another big need for the Saints is in the middle of their defense. Enter Kendricks, the top MLB on the board. Not a bad takeaway from the Graham trade. New England won the Super Bowl thanks to their cornerbacks Hero Malcolm Butler may return, but Darrelle Revis and Aqib Talib are gone, so the Pats need to deal with their absences now. Darby fills the need. It is the season of lying in the NFL. Yes, the NFL draft is tomorrow night and the rumors are flying like never before. Brian Mandel and Matt Luppino are back with me to break down who should be going where. We each put ourselves in the position of NFL general managers and came up with a player that we think each team should select. That does not mean that they will tomorrow, but they would be wise to. Also another note is that we each had one trade to execute during the draft, which is not only fun but is probably reasonable. We obviously cannot predict every trade, but we can identify one we think should go down. With all of that said, it’s time to put some teams on the clock. This team needs a franchise quarterback in the worst way and has for some time. He might be a liability off the field, but Winston has a great football background and should be a solid starter for Tampa from Day 1. What no trade? The Titans also have no business trading for Philip Rivers, as they are much more than just a quarterback away from contending. Instead, they make a safe pick that will help them get after division rival Andrew Luck. He is not a perfect fit but much like the Titans, the Jaguars need to find a way to get after Andrew Luck. With such a deep receiver draft, the Jags can afford to wait until round two to fill that need. I have a higher grade on Cooper than I do on counterpart Kevin White. Give David Carr a reliable, talented weapon who is pro-ready and will grow as Oakland’s young quarterback does as well. The Redskins have plenty of needs and one pick won’t make them a contender in the crazy NFC East. Rather, Waynes gives Washington a good-sized defensive back who will take a lot of the pressure off DeAngelo Hall. Mariota needs time to develop and wide receiver is deep this year. Willie Colon needs to be replaced at right guard and Scherff can do that right away. The Jay Cutler era is nearing an end in Chicago. There is no doubt the Bears want to move on and now they would be able to with a viable option to take over for him. Forget the off the field issues, Ray is a talented player with a ton of upside. I think Dan Quinn could get the best out of this kid and he would be a major help to a Falcons team that finished tied for second-worst when it came to sacks last season. Another guy with off the field issues here but Tom Coughlin is the right coach to handle that. The Giants were awful against the pass last season and with Scherff heading to the other New York club, this makes a lot of sense. The Rams need a big target to go to in the red zone. At 6’3”, White will provide new Rams quarterback Nick Foles a new weapon that should jump-start this Rams offense. The Vikings added Mike Wallace this offseason but Parker already has a rapport with quarterback Teddy Bridgewater. If Adrian Peterson returns like he is supposed to, this Vikings offense could be a lot better next season. Here is where my trade comes in. The Browns send both their first round picks and a third rounder to the Chargers in exchange for Philip Rivers. The Browns get their franchise passer and the Chargers get a safety net. This is the fresh start the Chargers are looking for as they head to Los Angeles. Shelton immediately makes the Chargers’ run defense better. I don’t like Beasley as much as a lot of people do but with his speed he will make an impact. Give Rob Ryan a bullet like Beasley to move around and blitz from random spots on the field. Might not be the most natural position fit as Dupree seems more ready for a 3-4 style defense, but with a ton of athleticism, he can develop. He certainly feels a need at linebacker though. The 49ers lost a good chunk of their defense this offseason to retirement or free agency. Adding Armstead will be the first step in rebuilding it. Rumor has it that the Texans are in the market for a receiver after Andre Johnson’s departure. Beckham-Green has a bit of a checkered past but a ton of talent. He and DeAndre Hopkins could be a scary combination. Ryan Matthews is gone. Most of the other running backs on this team made the injury report at one point last year. The Chargers should get a bonafide franchise rusher to ease the loss of Philip Rivers. Versatile player who can move along the defensive line. Brown will be another piece in Andy Reid’s defense and should help Kansas City’s 28th ranked run defense. Peat is a big, strong bully on the offensive line. This move would allow D.J. Fluker to move inside and the Chargers could turn their offensive line into a strength of their team. The Eagles have a couple of different needs but they a vast improvement over their 28th ranked pass defense from a year ago. Collins will do just that. The Bengals ranked last in the NFL a season ago when it came to bringing down the quarterback. Eddie Goldman may not come in and tally a ton of sacks, but he should definitely eat up some blockers and provide a nice punch along the defensive line. Concerns about his mental game and an incident involving marijuana dropped Gregory out of the top five. The Steelers are desperate for a pass rusher though with Lamarr Woodley retiring. Gregory should fill that need. Defensive line is a need with Ndamukong Suh and Nick Fairley gone. Phillips is a massive two-gap tackle who can fit either a 3-4 or 4-3 scheme. Humphries is massive and should improve the Cardinals’ ground game immediately. Not to mention that keeping Carson Palmer healthy will be a huge priority. The Panthers need offensive line help in the worst way. With a lot of receivers still on the board as well, Carolina should wait on adding someone else to their receiving core. The Ravens finished 23rd in the league at defending the pass last season. Adding a big, lanky corner like Collins should give the Ravens some immediate help with a chance for him to become a star. It is probably only a matter of time before Darren McFadden gets hurt so having Gordon will be big at that point. Either way, Gordon should become an every down back Dallas can rely on. Peyton Manning can be great but that is mitigated if he has no one to throw too. With Julius Thomas and Wes Welker gone, the Broncos would be wise to add the rangy and explosive Strong. Indy needs to keep Andrew Luck upright. Not to mention that the running game was not overly strong last season either. Adding Fisher should aid both of those causes right away. A.J. Hawk was cut following the 2014 season, which means the Packers have an opening at middle linebacker. Kendricks should be an upgrade over Hawk, who’s production slipped down the stretch. After selecting a pass rusher, the Saints need to bolster their receiving corps. Could fill the same role as Kenny Hill but potentially do it better. 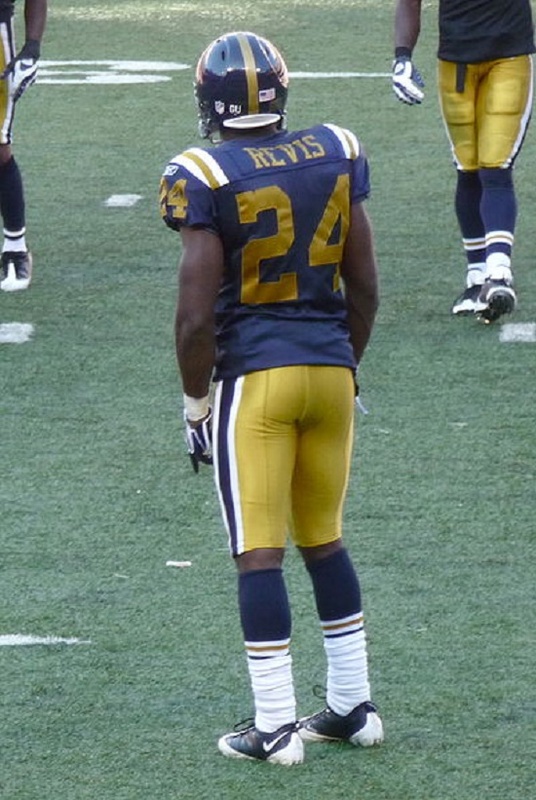 Darrelle Revis and Brandon Browner will be wearing new uniforms this year. That means that the Patriots have a glaring need at corner and Jones should step in to ease those losses. For more mock drafts, click here. There has been a lot of buzz surrounding the Tennessee Titans number two overall selection in tomorrow’s draft. 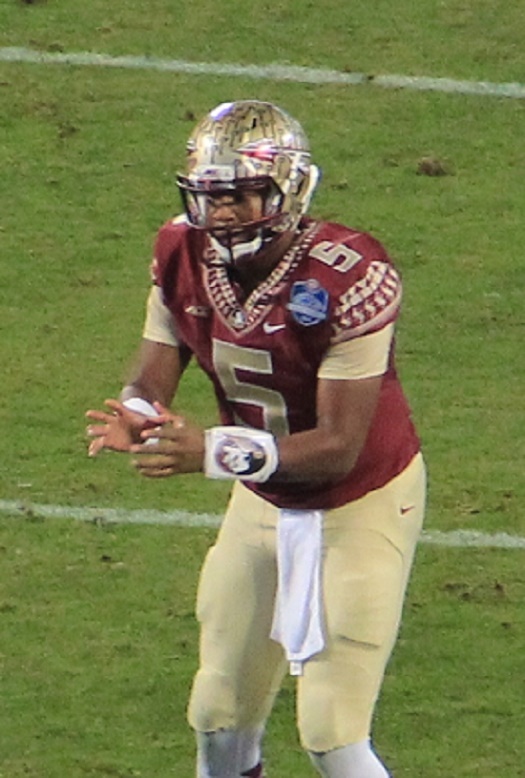 Marcus Mariota or Jameis Winston will be available at that point and there are several teams in need of a franchise quarterback. Neither is a guaranteed solution, but both offer the potential for a bright future. Among teams reportedly in the mix to trade for the Titans’ pick are San Diego, New York Jets, Philadelphia and Cleveland. The Titans themselves could even draft one of the two signal callers. Time to look at who should be serious about making the swap and who should back off. For Tennessee, trading out is probably the best option. They are more than a quarterback away from being a playoff team. The problem is that they should not trade with San Diego. Landing Philip Rivers would put them in a win now situation. Tennessee has holes all over the place and Rivers would put them in a weird flux position. If Philadelphia or Cleveland (who reported has made an offer) decides to make an offer with a bunch of draft picks in return, that would be the best option. The Eagles could even send Sam Bradford to Tennessee, which would give them a veteran who still has a lot of time left if he is healthy. From San Diego’s standpoint, adding Mariota or Winston at number two would be a great addition, especially if Rivers is truly set on leaving. It would be a much cheaper option for the Chargers and give them a chance to rebuild around him as well. The only thing that does seem a little bit off is that the Chargers would have to give up their own number one and Rivers to move up. I think San Diego could back off of the deal if only because they are undervaluing Rivers and believe they might find a better offer elsewhere. Speaking of teams who could make a better offer, Cleveland is in need of a franchise quarterback. Johnny Manziel could still develop into something, which makes me think that bringing in either Mariota or Winston would not be a smart idea. Josh McCown is there already but if the Chargers would be willing to make a swap for both of Cleveland’s first round picks, a third rounder and maybe McCown, Cleveland should take it. The Chargers then have a chance to draft someone like Hundley, or Grayson later in the draft and use those now three first round selections to solidify both the offensive and defensive lines. I don’t think this will necessarily happen but it could be an interesting possibility. Mariota would obviously be the grand prize for Chip Kelly. The question is what is too much to give up. If the Eagles can trade Bradford and a pair of first round picks (one in next year’s draft), I think Tennessee might be willing to listen. That is a lot for Philadelphia to give up though. It would give Kelly the quarterback he desperately desires but Philly has needs elsewhere. Without a wide receiver, a starting safety or a starting guard, the Eagles really need all of the help they can get. I think Philly would be wise to hold off on making a blockbuster deal quite yet. If Mariota begins to slide, then all bets are off. The question that the Jets have to ask themselves is do they already have their quarterback of the future in house. If that answer is yes, (which it probably isn’t) then there is no reason to move up. However, if they really believe Mariota or Winston could be a once in a generation player, maybe make the move. They still would need to likely give up a lot just to jump four spots in the draft order. Realistically though, the Jets should just wait it out. 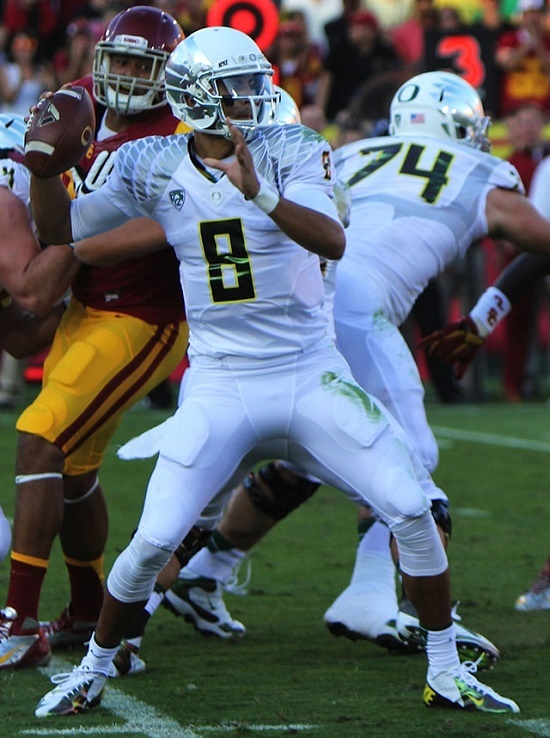 There is always a possibility that one of the quarterbacks, probably Mariota, slides all the way to six. If that is the case, then I think the Jets would and should pull the trigger. There is always so many unforeseen trades in the NFL draft and we could see a different team entirely swoop in and steal one of these players. That is the beauty of the NFL draft. You never have any what is going to happen until it has already happened. Every NFL draft is critical but for certain teams, the draft tends to hold a bit more weight on a year-to-year basis. The Packers are consistently a team who gets the draft right, with the most drafted players still on their roster. The Raiders on the other hand, tend to struggle a bit more when it comes to making the right selection. Either way, the draft really dictates the future of a team. These are the teams who need to have a successful draft more than the rest of the league. The Jets need an infusion of talent on the offensive side of the ball. New York went out and spent a ton of money on rebuilding their secondary. Now they need to bring their offense up to that level. Still in need of a franchise quarterback and some new offensive lineman, these selections will be vital to the Jets’ immediate future. On top of that, the Jets have a brand new front office and coaching staff. This new group needs to get off to a good start with a strong 2015 draft class. Is there a year where the Browns don’t seem like they need rebuilding? Once again, Cleveland finds itself with major holes at some key positions. The team is struggling to find a franchise quarterback. They have Johnny Manziel, but the jury is still out on whether he has what it takes to compete at the NFL level. This draft comes on the heels of general manager Ray Farmer’s suspension for texting to his sideline. The Browns need a fresh start to turn over a new leaf. Not to mention, with two first round picks, the front office in Cleveland has a chance to make a huge impact on the team and really cannot afford to make mistakes. The longer you stare at this situation, the more you have to wonder what the hell happened. San Francisco was a Super Bowl team in 2012 and a NFC Championship team in 2013. Now the Niners are looking at a situation where they have dozens of changes to make. With a new head coach in Jim Tomsula, the 49ers will be a very different team than a year ago. With needs on both sides of the ball and the outside perception that this team is spiraling out of control means that this draft holds even more weight than it already would. Jimmy Graham is gone. Ben Grubbs is gone. Kenny Stills is gone. The Saints’ offense is a skeleton of what it once was. Adding Max Unger is huge but losing those two receivers and a starting guard drastically changes the draft approach. The championship window with this team’s core is rapidly closing. Drew Brees is 36 and is definitely running out of chances at another ring. Without some new offensive options, this team is going nowhere. On top of that, the defense was terrible last season. This team has some extreme remodeling to do and as one of only two teams with two first round picks, the Saints need to find some impact players to right the ship and get them back in the postseason. This might seem a little odd to have two teams, and two teams that made the divisional round of the playoffs as well, but here’s why: these teams are on their last ride with their current core. Dallas cannot count of Tony Romo lasting forever with both his injury history and age. The team has a lot of salary cap issues as well so it is unlikely that a lot of this team will still be around in about two or three years. For the Broncos, had Peyton Manning retired, Denver probably would’ve blown up the team. With Manning back, it’s gotta be Super Bowl or bust. Manning is now 39 and entering the last two years of his deal. This will be the end for him. Both teams lost some key free agents and will need to fill those holes if they hope to make a championship run. Obviously, Thursday through Sunday will be very important for every NFL team, but these select few have a lot riding on the outcome of the weekend. For some teams, it will be the difference between a successful rebuild or another year of failed experiments. For others, it will determine if they can raise the Lombardi Trophy next February or spend that weekend pondering what might have been. Either way, the draft will feature plenty of high tensions and shocking deals. This is where championship teams are built.